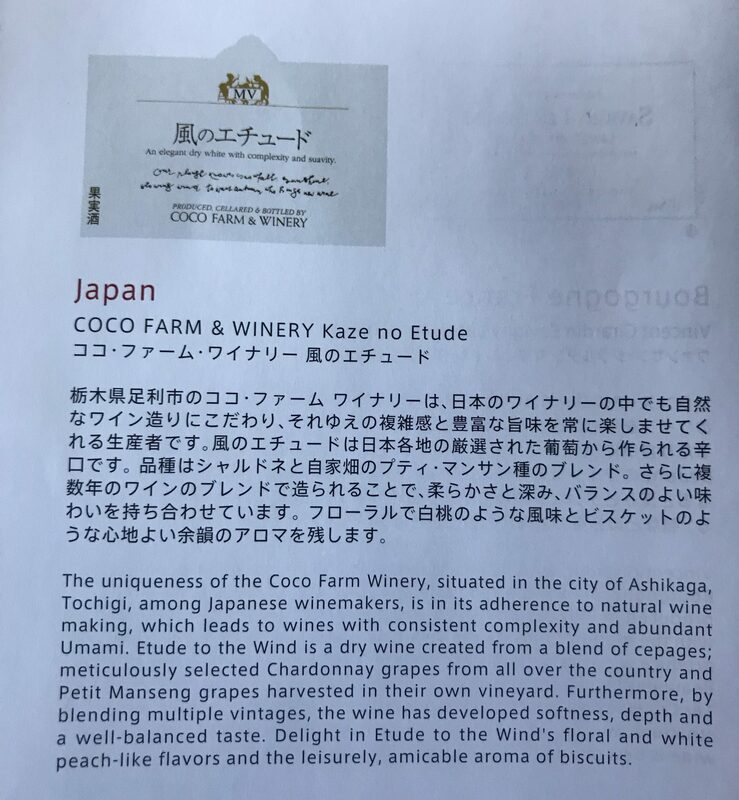 For wine aficionados, it’s rare to find an airline offering as impressive a list of options as Japan Airlines did on my recent first class flight from LAX to Tokyo Narita. 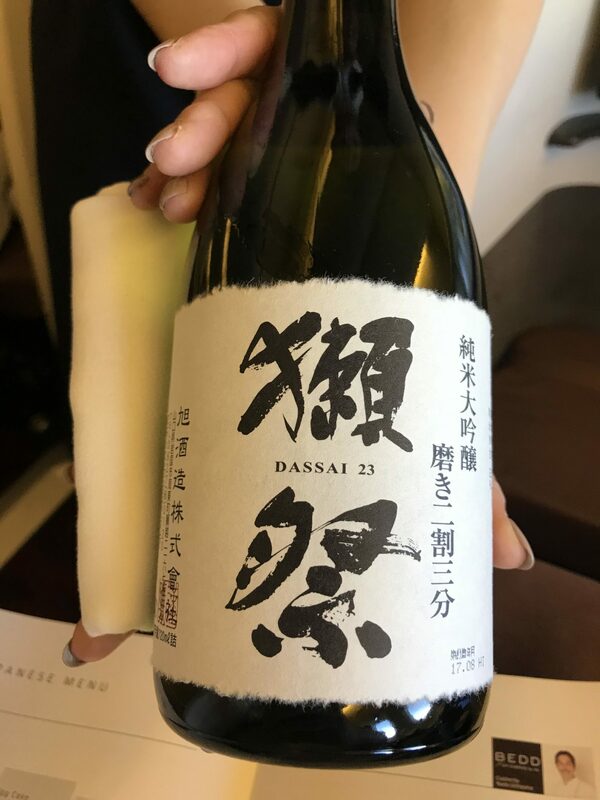 JAL’s extensive list wasn’t just wide: it was well chosen, felt strongly premium, and provided a range of options for palates and preferences — and other airlines can stand to learn from it. 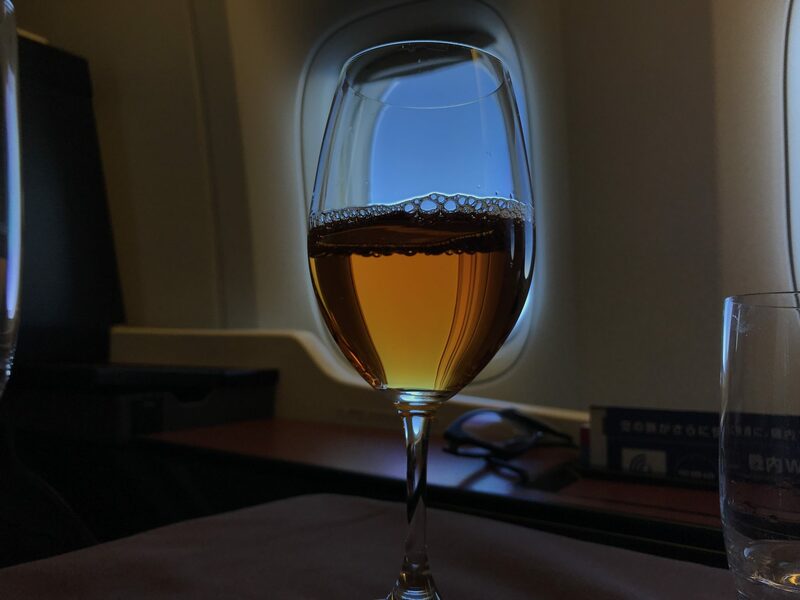 Let’s start, as I did on board, with the bubbly. 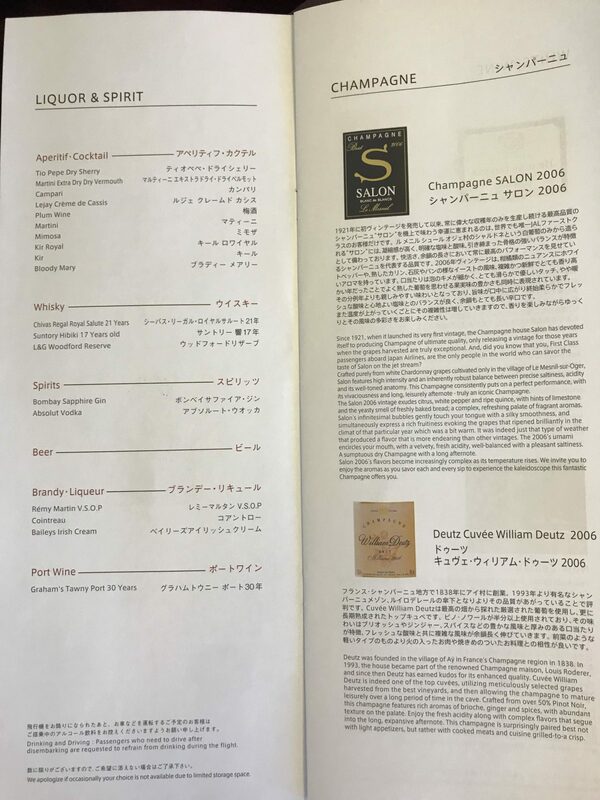 As the only airline to serve the rare Salon vintage Champagne, I was fascinated to see how the newly released 2006 vintage of this cuvée de prestige fared at altitude on JAL, given that early reviews were fulsome in their praise. 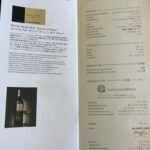 On the ground, and despite being served in a small flute, it was exquisitely simple, although I wish that JAL served it in a larger glass, like ANA does with its Krug, to enable the nose to develop properly. 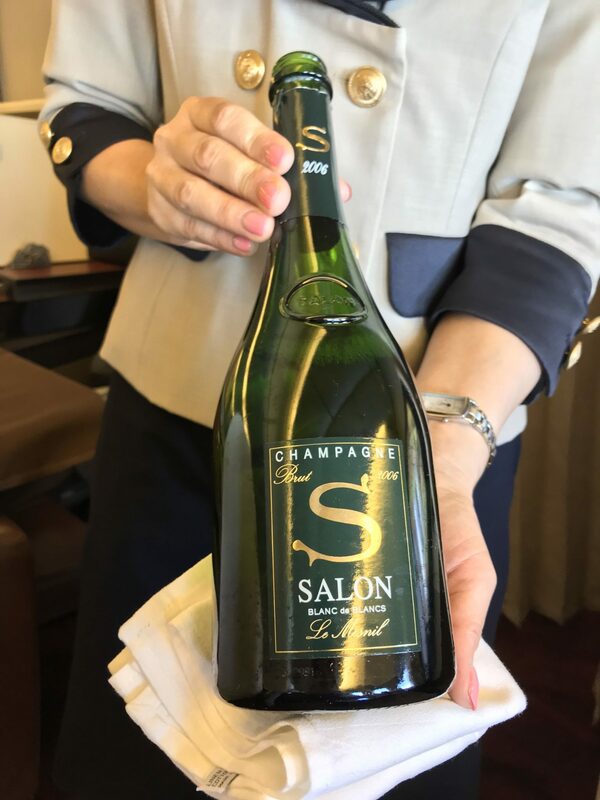 At altitude, the Salon lost a lot of its interest, since it’s a Chardonnay-only blanc de blancs, and without any malolactic fermentation to lend complexity. 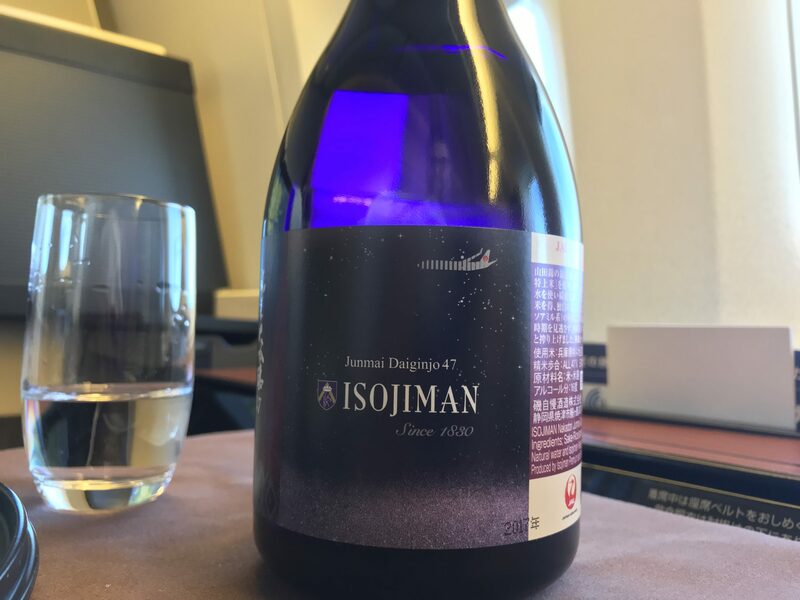 As the world’s most expensive inflight Champagne, with Decanter citing prices of £282 (US$375) per bottle (although the airline will likely get a discount), I did wonder about whether JAL and its passengers are getting their money’s worth at 8,000 feet cabin altitude. 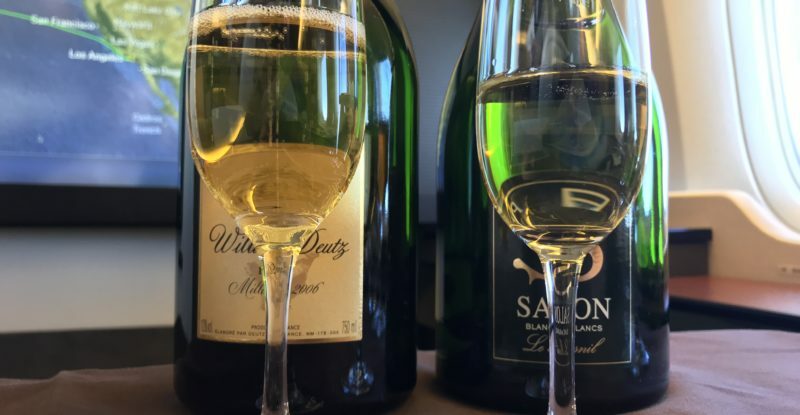 That may well be why the airline also loaded a plentiful stock of a second Champagne, the 2006 Cuvée William Deutz from the eponymous house, which is a US$125 bottle. 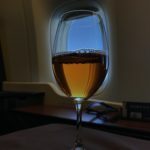 Complex and particularly biscuity at altitude, the Pinot Noir dominance (a full third) meant it was more satisfying than the Salon once into the flight. 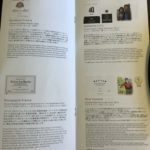 Clearly, these are delightful problems to have in the air, but the dual-loading shows JAL gives serious thought to — and spends serious money on — its wine list. 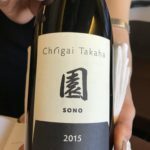 Speaking of the rest of the wine list, it was impressive, particularly on the white side. 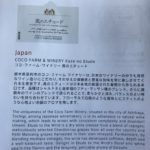 I was delighted to have the chance to try the Coco Farm blended white, produced in Tochigi Prefecture just north of Tokyo, which was a real standout, and somewhere that I’ve added to my to-visit list for future Japan trips. 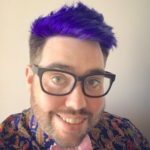 This is an ideal sort of partnering with home-nation producers that an airline should be doing. The other whites were also smashing, and performed exceptionally well at altitude. 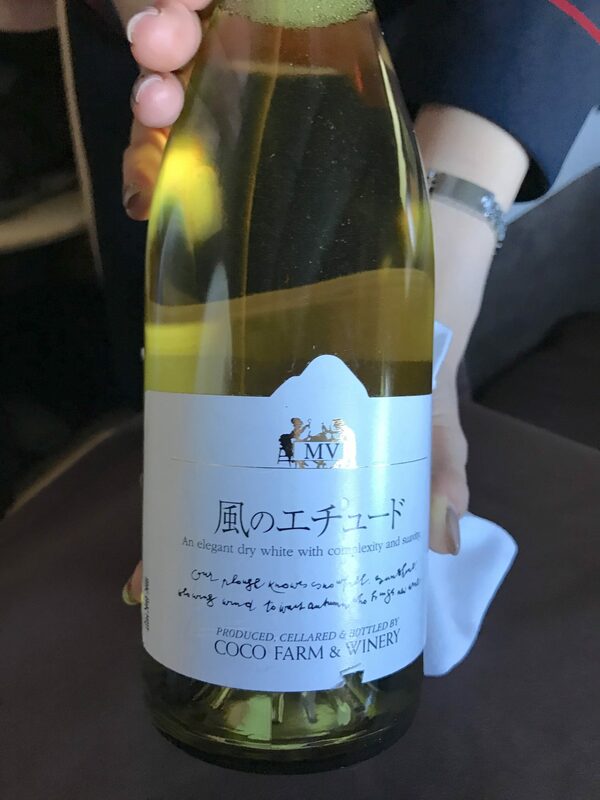 The Beaune was, to my mind, a practically perfect expression of Chardonnay: buttery, rich and supple in the mouth, but with the balance exemplified by this area of Burgundy. The Yealands Sauvignon Blanc, too, was a classic Kiwi sav, with the grassy minerality typical of the Marlborough region, while the off-dry Grüner Veltliner (one of my favourite underrated aromatic grapes) was well chosen, both for palates that like a sweeter wine and for those who appreciate a drier aromatic. 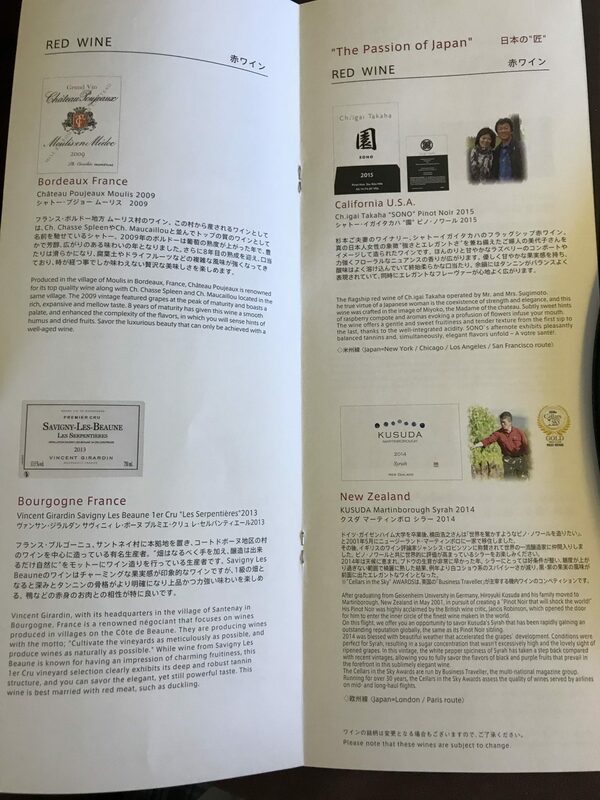 While the lack of any Japanese red is perhaps a little telling about Japan’s rather nascent premium wine industry, JAL has outdone itself by sourcing wine from New Zealand and California that is produced by Japanese expats. 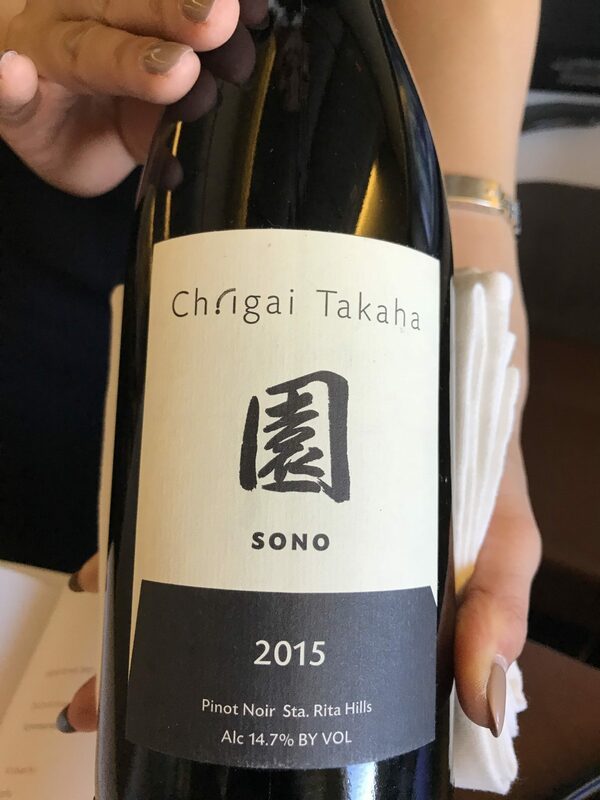 On this flight, the Igai Takaha Pinot Noir from California’s Santa Rita Hills was an exceedingly well-crafted, fruity yet complex wine that I felt outperformed the Burgundy that JAL also loaded — both of which outdid the Bordeaux from Château Poujeaux. 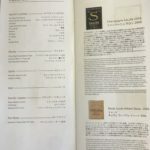 It’s yet another case of the classic tannic structure of a claret losing its punch at altitude, and of an airline likely bowing to passengers’ expectations of an expensive wine rather than insisting on providing one that truly performs in the air. 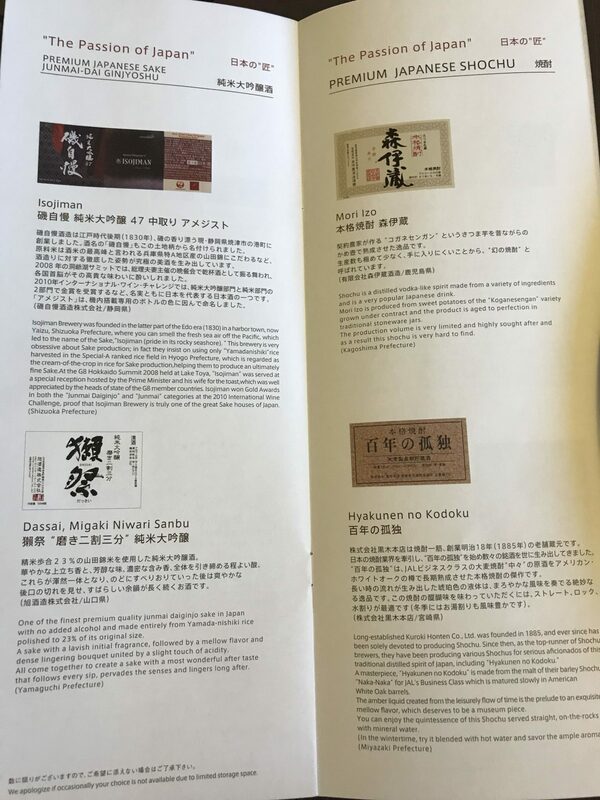 As for the sake, I thoroughly enjoyed all three with the Japanese kaiseki tasting menu, although their relevant merits aren’t really in my grape-preferring wheelhouse, and not being a huge fan of shochu, I didn’t partake. 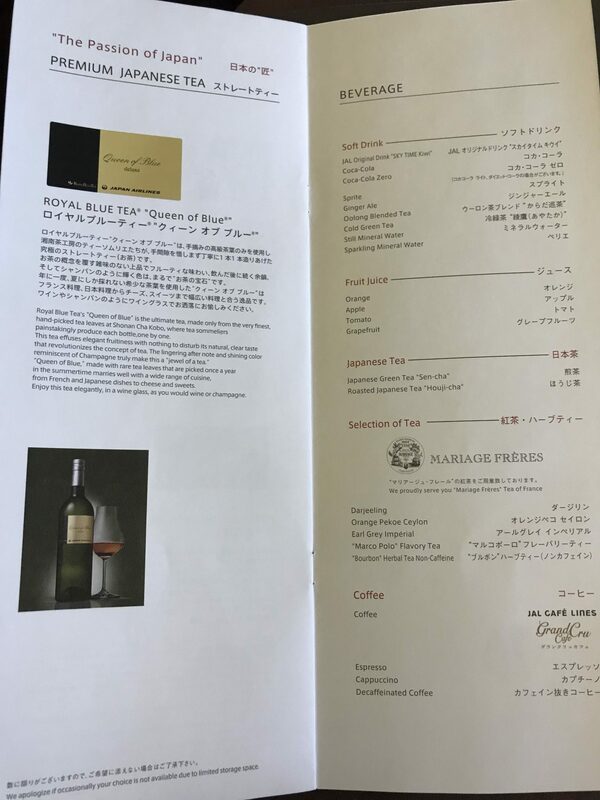 The Queen of Blue tea, served in a wine glass, was also delicious, though, again, this isn’t really my area of expertise. 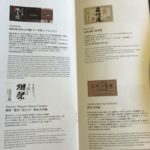 But both the sake and the tea provided those passengers who prefer other beverages with a premium experience, which is always a smart move by an airline. 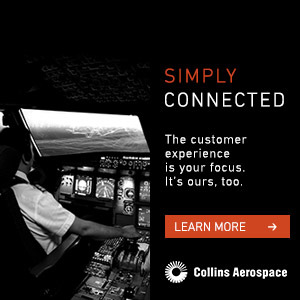 So, what can other airlines learn? 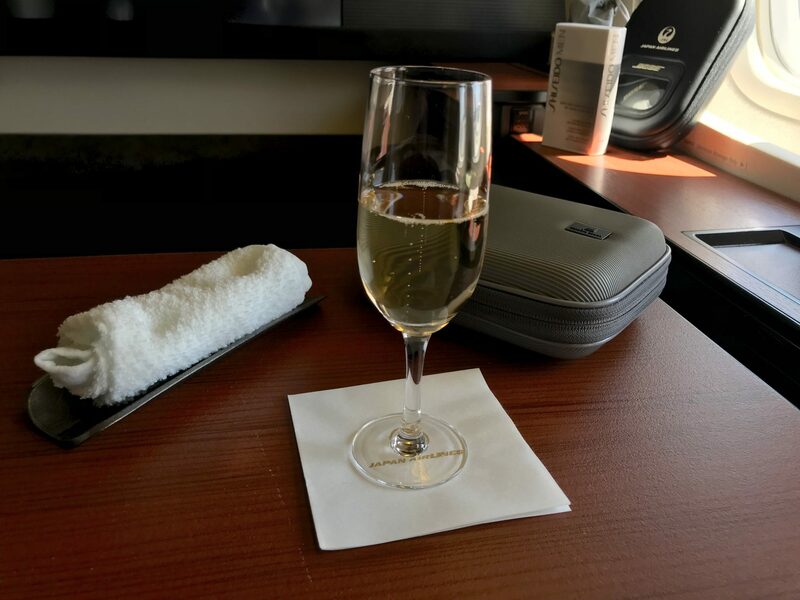 Even carriers who can’t swallow a $375 bottle of bubbly can provide a limited-stock premium option with a backup choice if it runs out or for those passengers who prefer something else. 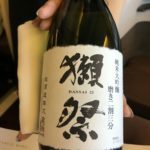 Home country wines, or even those with a link to their nationality, are a plus. 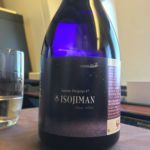 Other premium options widen the field too — and a nose (and a tongue) for wines that will work well at altitude is a must. 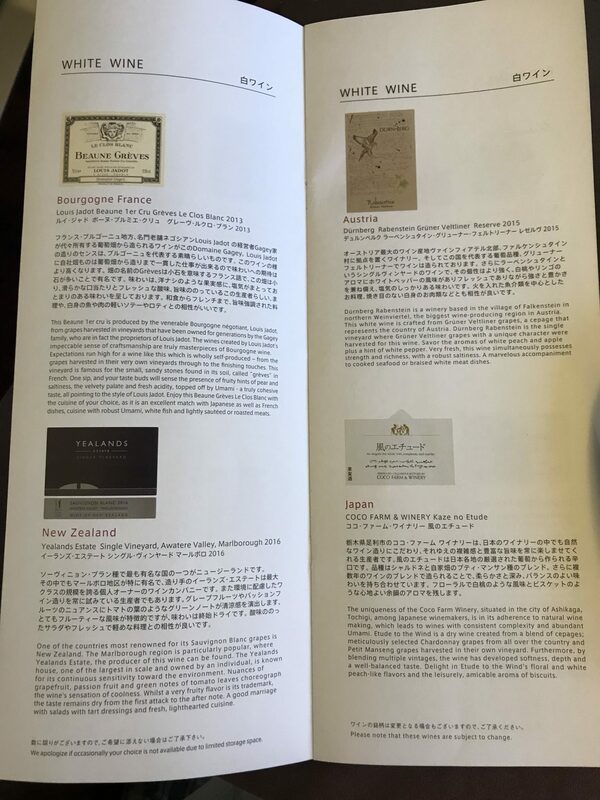 Japan Airlines can be proud of its work in all of these areas.